Congratulations to BINUS INTERNATIONAL’s team for winning the third place in the 3rd Bachelor Journey of Management (BJM) competition held on 17 April at the School of Economics at University of Indonesia (FE UI), in Depok. The team managed to beat more than 100 teams in the paper proposal stage and eight other teams in the final stage. 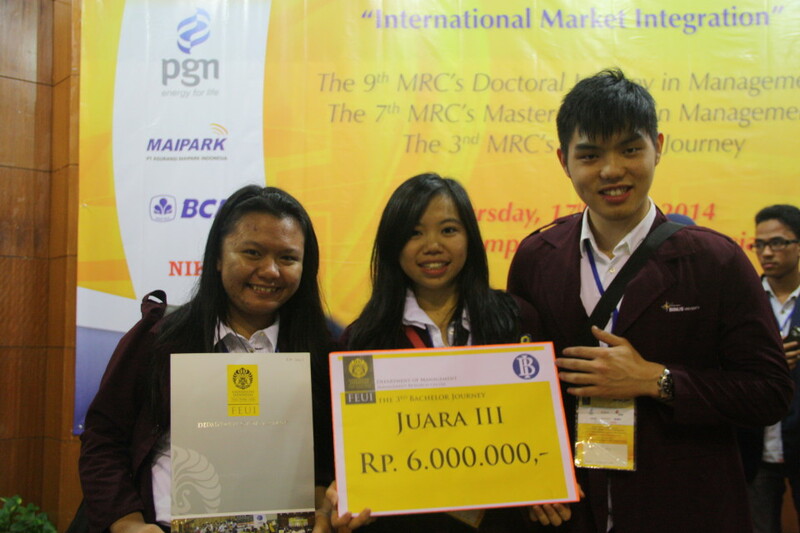 The BINUS team consisted of three students from two different majors. They were Ninda Putri Kiasatina (Accounting 2015), Elizabeth Lesmana Pualam (International Business 2015) and Kelvin Ricky Syahputra (International Business 2015). They were not only in the top three, but also became the only team from a private university to compete up to the final stage and win third place. 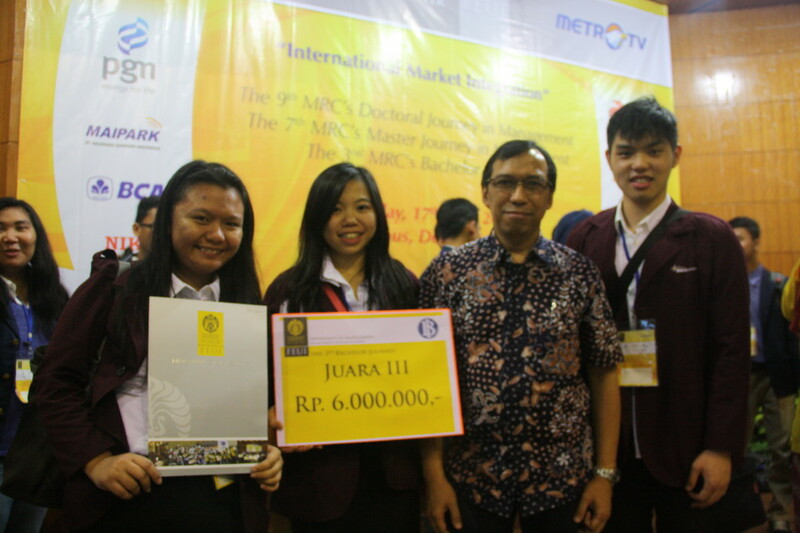 BJM is an annual competition founded by the Management Research Center (MRC) of FE UI. 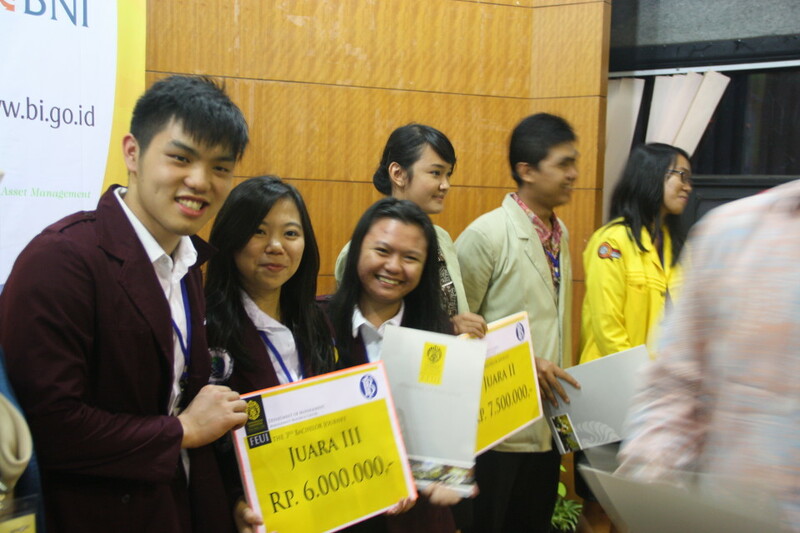 In the third 3rd BJM, the committee chose case studies with the theme of a central bank. The topic was “The role of the Indonesian central bank (Bank Indonesia) in the era of the Financial Services Authority”. 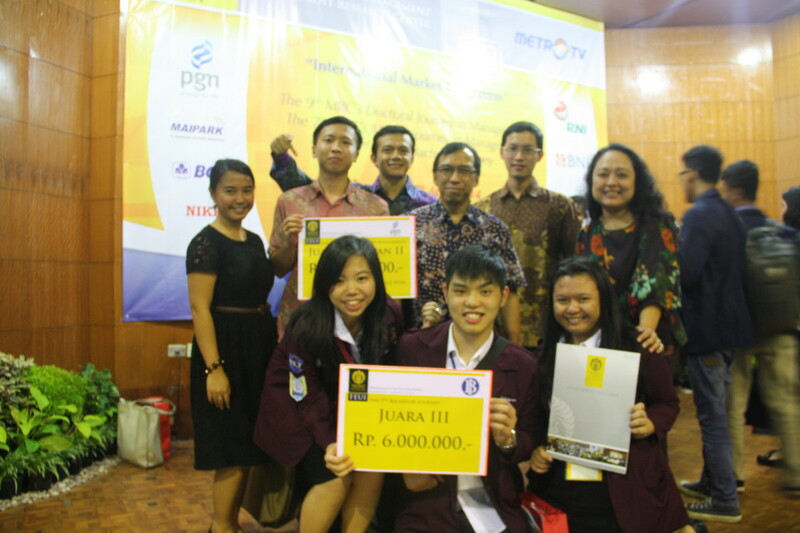 In this year’s BJM, FE UI partnered with Bank Indonesia. For a total of 20 minutes the team gave its best, responding to questions from the jury. In the first 10 minutes the team had to explain the role of Bank Indonesia now that we have OJK, based on their paper. The next 10 minutes was for a question and answer session. The team was confident in responding to the jury’s questions. In that 20-minute period, the team did not face any real problems. They managed to respond well to the jury’s questions. They alternately presented their paper. Under mentorship from Dewi Fitriasari, a lecturer and also the team coach, the three participants managed to face the hurdles coming their way.The university also played a role in the team’s success, helping them reach the final. For administration, the team got strong support from SAGE (Student Alumni Global Employability). Karen Imam, a Faculty Member, chose the team members. “Initially we planned to be trained by a person who really knows banking, especially about Bank Indonesia. That was our own initiative. But, due to time constraint, we had to dismiss the plan. We learned about the banking ourselves. Mostly we learned from the Internet,” said Elizabeth. The team members hope their success will not be short lived, and that it will lead to more successes. They expressed their hope that the university would routinely send its students to events like BJM. “Students of BINUS have a lot of potential. They also have big ambitions. It would be a waste not to participate in events like this if they can use these events to develop their potential,” said Ninda.